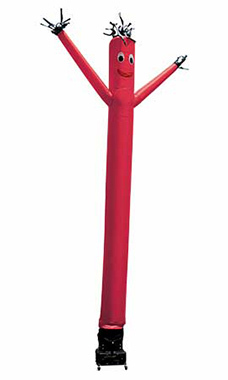 Use this Inflatable Dancing Man to draw attention to your lot. They are a playful, eye catching item to add to your advertising. Each dancing man is made of rip-stop parachute nylon material. Requires one Air Blower (SKU # 00201) which is sold separately.